1. 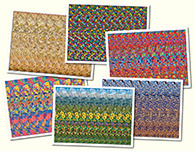 One of the most amazing stereograms I have ever seen such clarity and depth and boobies! 3. This Picture is awesome! Do More! Plx! 5. Amazing! lot of details hard to find all of them! br The best animation i ve seen for the moment! 9. Amazing! Lots of movement detail - looks fantastic! 11. Incredible! Compliment to the creator! 19. (numer 169)-that was accidentally entered... anyway a naked girl and table twirling...amazing!!! 20. Pretty crazy. The girl that looked pretty bad in the stationary version is actually one the best parts of this animated version. 25. Very nice movement. Would love to see more animated 3D pictures! 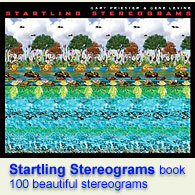 34. best animated stereogram ever! 35. I was just looking at the Gears stereogram and thinking. That s pretty neat. Looks like a clockwork ballerina on that last gear with all these gears it really looks like it should be in motion. And then next thing I know this pops up. 39. Um. I thought I was losing it for a second. I ve never seen an animated one before. My life is changed forever. And yay naked lady. 44. Absolutely brilliant first time I have ever saw one like this. 45. Absolutely brilliant first time I have ever saw one like this. 47. Amazing piece of art although please don t take it for a criticizm but the picture is quite vidid. I mean it s clear the girl will be the part of the whole sequence. It could have been more harcore if the picture consisted of chaotic non-related to the subject elments (like purple haze). Still I am amazed! 48. Absolutely fantastic! Made my day. 53. This is wonderful. This was first animated one I saw. Love it! 54. how many people cant see this? 56. Greetings to Sir C Sleepalot. 64. It s a mechanical toy and I guess the spinning oval and the longer object rubbing against it are making music.